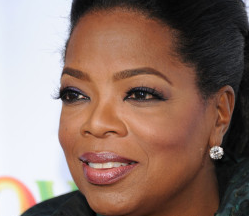 Oprah announced on Thursday that she will be moving her Oscar special to her television network, OWN. The special, which will air over a week before the Academy Awards ceremony, is expected to become a yearly franchise for the cable network. Oprah’s special will differ from her notable “After-Oscar Party,” which she did yearly live from the Kodak Theatre on the Monday after the Academy Awards ceremony. Her Oscar specials were some of “The Oprah Winfrey Show’s” highest-rated programs. Oprah sat down with the night’s biggest winners, including the recipients of the Best Actor and Best Actress awards. On OWN, Winfrey will interview nominees prior to the ceremony, including Viola Davis and Octavia Spencer from The Help. Moneyball’s Jonah Hill will also appear in the special, which will air February 15. Hill tweeted his excitement about the interview on Tuesday (when the interview was presumably taped). Last week, ABC announced that “Live! With Kelly” will host an after-Oscars show the Monday following the Academy Awards ceremony live from the Kodak Theatre. Will Matt Lauer Stay on ‘Today’ Show for $30 Million?